The month of September is home to some amazing awareness days. Fundraising Auctions highlight some of their favourites and give you some ideas on how you can get creative with your fundraising and activities to support these causes. 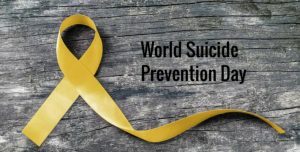 Did you know that over more than 800,000 people take their lives each year across the world: the average in the UK alone is 18 people per day! Why don’t you… organise a sponsored cycle? The International Association for Suicide Prevention are holding a ‘Cycle the Globe’ event. The aim is to collectively cycle the globe between 1st – 17th September, get involve with a sponsored cycle to help raise funds for this deserving cause. Charities of note: International Association for Suicide Prevention (IASP) and the World Health Organisation (WHO). 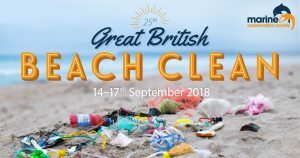 With over an estimated one rubbish truck load of plastic litter now entering the ocean every minute, it is becoming imperative that we start taking serious action towards the health of our oceans! Is double denim acceptable? Absolutely! 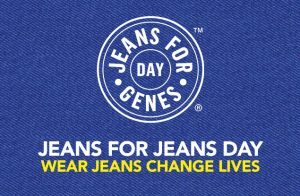 Show your support for the 500,000 children in the UK living with Genetic Disorders, by wearing your denim on the 21st September. Why don’t you…organise a wear denim to work day? Ask everyone to rock their denim items in the office; and ask your colleague to donate for taking part. With over 850,000 people living with dementia in the UK, this is a disease that you or someone you know are likely to encounter. Why don’t you…organise a coffee morning? No-one can resist a good coffee and cake, and what’s better is it is a great way to raise money for those affected whilst mingling with your co-workers, friends and family!